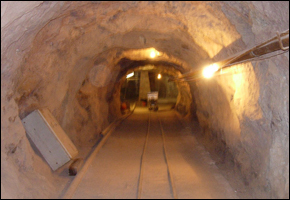 Home › Topics › Energy › Shuttered Texas Silver Mine to Reopen? First it was ethanol and the price per acre in the Corn Belt. Then oil and gas began propping up land values in mineral-rich areas such as the huge shales found coast to coast. Now other commodities are driving other forgotten or overlooked real estate markets, including an out-of-the-way section in Far West Texas where the state’s richest silver mine is slated to reopen after a seven decades of inactivity, according to this press release. Silver was first discovered in the Big Bend region of Far West Texas in the 1880s and mined at La Mina Grande in Presidio County from 1883 until 1942. More than 35 million ounces were produced. This area of the Lone Star State is home to some of the largest ranching empires in the country, and includes several Land Report 100ers: Brad Kelley, Jeff Bezos, and Clayton Williams, among others. The recent and sustained increase in the price of silver led Aurcana, a Canadian mining company, to pay $43 million to Silver Standard Resources to acquire the flooded mine, which it plans to reopen in 2010. Annual production estimates of 3.2 million ounces per year are forecast. More to come.